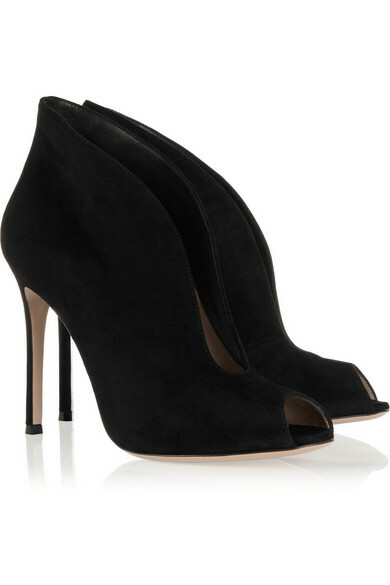 Gianvito Rossi's ankle boots are crafted with a cutout vamp to create the illusion of longer, leaner legs. 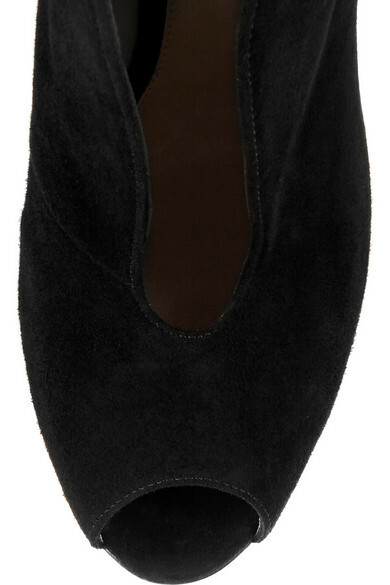 Made in Italy, they're hand-finished from velvety black suede and have a supple sand leather lining. Accentuate the sculpted shape with cropped pants or a skirt. Shown here with: Chloé Scarf, Chloé Dress, The Row Top, Alexander Wang Shoulder bag, Arme De L'Amour Cuff, Chloé Bracelet, Chloé Bracelet, Jennifer Fisher Cuff, Chloé Rings.